If you’ve ever taken a baby to a theme park, you know the challenges. Finding a private place to breastfeed, or trying to keep your kid from falling off the tiny restroom changing table, or standing over a restroom sink in your bra trying to wash spit up out of your top (nothing to see here, everyone…move along). 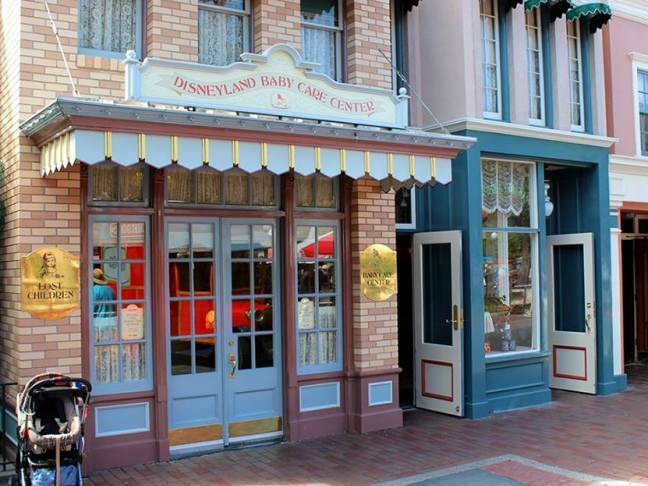 If this all sounds familiar, then you haven’t discovered the Disney theme park Baby Care Centers, located within each Disney Park in the U.S. Even though I consider myself to be a “Disneyland Expert,” I had no idea this little corner of the Park existed until a friend, and new mama, pointed it out. It’s like a little oasis of calm and sanity from the theme park chaos outside. And the best part is, the services and amenities offered at the Baby Care Centers are included with the price of your admission! Inside each Baby Care Center, you can find private nursing rooms, changing tables, and a feeding room with a microwave, sink, and refrigerator. Generally the nursing rooms are dimly lit, which is perfect for mamas with babies who will only nurse when it’s dark and quiet. 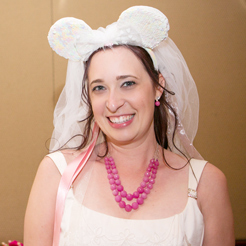 Moms are also welcome to bottle feed or pump in the nursing rooms (but Disney will not store your milk for you). Men are not permitted in the nursing area for privacy reasons, so send Dad off to Starbucks for a nice iced mocha latte while you’re feeding. If you’ve ever tried to change your baby’s diaper on the changing table inside a Disney Park restroom, you know it’s often loud, cramped, and crowded. The Baby Care Centers offer a quiet spot to change your baby’s diaper on a nice, roomy, padded table, with easy access to sinks for those who cloth diaper. And everything in the Baby Care Centers is clean—Cast Members disinfect and wipe down every surface in between guests. For meals, the Baby Care Centers have high chairs available, as well as tables and chairs for older kids. You have access to a microwave for warming up formula or baby food, and a sink for easy clean up. It’s also a great place for younger kids to enjoy a snack in a quiet, less intense atmosphere. Each Baby Care Center also has a small shop where you can purchase formula, baby food, diapers, wipes, pacifiers, over-the-counter medications, and other baby and toddler items. Perhaps the best perk of the Baby Care Centers is the air conditioning, which can be quite a relief for both babies and parents on a hot day! And the Cast Members I have encountered at the Baby Care Centers are so friendly and attentive. They can’t babysit for you (sorry), but if you need someone to hold your diaper bag while you wipe baby food off your jeans, they got you covered. Be sure to take advantage of this little-known gem the next time you visit a Disney Park!